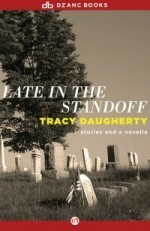 In these four stories and a novella, Tracy Daugherty focuses on unresolved conflicts among family and friends. In Late in the Standoff, the stories ask, What are the limits of intimacy? How can we really know each other? What happens when the lines between deception and honesty become blurred? 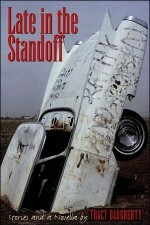 The standoffs in Tracy Daugherty’s third collection vividly demonstrate that even politics is a kind of family squabble whose elusive solutions often come from unexpected quarters.